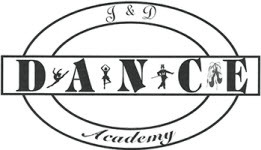 Welcome to J & D Dance Academy's online registration. Please complete the form and click submit. Annual Registration Fees: $35/family (There is no registration fee for the Summer Dance Camp or Summer Intensive.) After submitting this form, you will receive an invoice via email. This may take up to 5 business days. Your spot in the class will be confirmed once Registration fee payment is received; please send this in after you complete this form. September tuition is due on September 1. Please select the class(es) in which you'd like to enroll. You will see a magnifying glass in the top left corner. Click this icon to filter the class listings. HEALTH/WAIVER OF CLAIMS/CONSENT: I warrant that I have no disability, impairment or ailment that prevents me from engaging in the activities herein described. This representation is made by me knowing that J & D Dance Academy of Reading will rely upon it in allowing me to participate in studio activities. I expressly agree that my use of and/or attendance at the Academy are undertaken at my sole risk and that the Academy's owners, managers and employees shall not be liable for any damages or injuries to me or my property or be subject to any claim, demand or cause of action, including for any injury or damage resulting from then negligence of the Academy, its Management of other Academy guests. I consent to pictures being taken of me by the Academy for advertising purposes and website use only and understand that such pictures will become the property of the Academy. Where the participant listed above is a Minor (under 18 years old), I, as the minor's parent or legal guardian, expressly agree to the Health/Waiver of Claims/Consent provisions contained below. I authorize the Academy and its Management to obtain medical treatment for my dependent minor. I am aware of the risk of physical injuries associated with dance, including the stresses on the body associated with repetitive exercise and movement. I assume these risks and shall not hold J & D Dance Academy, its faculty, chaperones or agents liable in any way for injuries sustained while attending class. I assume responsibility for my child's health during the course of the program and will notify faculty if my child's health status changes as well as any relevant medical conditions, including known allergies and other physical limitations which might affect my child's safety or achievement. REFUND POLICY: Tuition is collected monthly and quarterly. Should a student leave part way through, the unused portion will be refunded. Please approve Health Waiver and Consent form in order to complete registration. J & D Dance Academy reserves the right to cancel said program due to enrollment, full refunds will be issued. I give my permission for my child to be treated for emergency medical care, if warranted. Every attempt will be made by the school to contact me regarding any such case. I have provided up-to-date medical information about my child and pertinent contact information.